How do you get quick design feedback so that you can minimise the risk of reducing conversion on your site or app? There is constant pressure to keep websites looking fresh and to add new functionality or content to improve the customer experience. However, from my experience of evaluating website performance one thing is guaranteed, customers will always surprise you with how they do or don’t interact with a new site or app. That killer functionality will rarely instantly take-off, if at all. 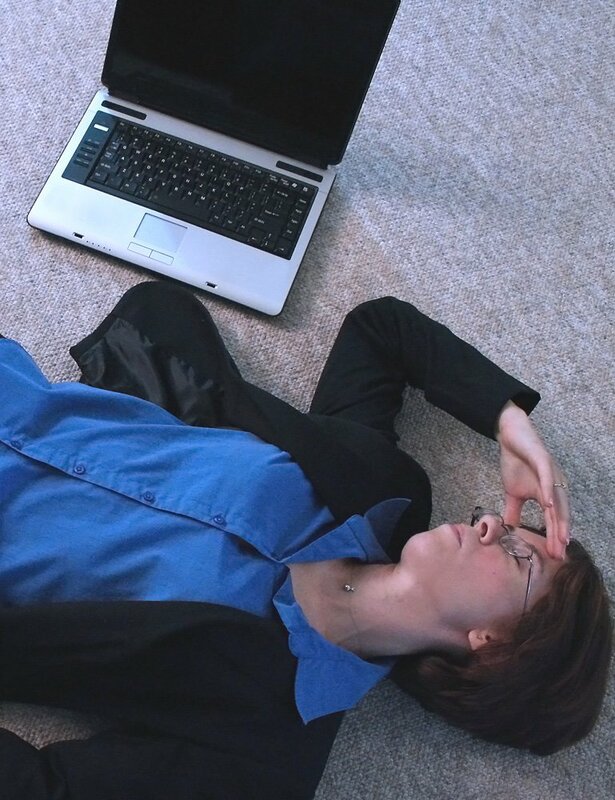 Visitors will not behave as expected on your new website and they will often complain about the changes you have made. Key metrics will drop, and though they may largely recover, some measures may never be the same as on the old page or website. In some cases this may be welcome, but often conversion rates can suffer. So what should you do to prepare yourself for the launch of the new customer experience? If you can you should A/B test your new design against the existing page or website. This will confirm how your key metrics are likely to change as a result of the new design, but it won’t tell you why visitors are behaving differently. To answer these types of questions you need more qualitative design feedback rather than numbers. Below are ten tools you can use to get design feedback from customers or experts to help identify where users may be having trouble with your new customer experience. This free tool provides you with the ability to get design feedback from a community of entrepreneurs, usability experts and web designers. Reviews for your website are earned by you providing design feedback on other community members’ designs. For each review you submit you earn one credit and this gives you the right to request one review of your screenshot. Importantly all reviews are moderated before any credits are processed and so this minimises the potential for misuse of the community. Get design feedback from real people on your landing page, wire frames and mock-ups to understand people’s first impressions. Participants are given just 5 seconds to view your design. This helps you evaluate how intuitive your page is by understanding what a person can recall about your design based upon those first few seconds. Price: $99 per month for access to all design feedback services. Online usability testing and design feedback. Get your first project free (up to 5 tasks and 2 questions). Covers over 40 languages, provides heatmaps and clickstream analysis, real-time reporting, and you can test on mobile devices. Pricing: A Free usability test is available for new customers. Pay as you go costs $350 per project. All plans include 1,000 participants per project, unlimited tasks and questions, testing on mobile, real-time results and 24/7 email support. The Micro plan costs $158 a month and is designed for organisations with between 1 and 10 employees, plus for non-profits and public sector clients. The SMB plan costs $410 per month and is for 11 to 100 employees. The Enterprise plan is priced at $825 per month. A crowd sourcing tool for getting almost instant design feedback on an idea, prototype or a new product development that you want to check-out before it goes live. Design feedback is normally provided within 3 to 4 hours and guaranteed within 24 hours. Pricing: A free trial is available (English only) for up to 3 respondents for one test per account and with feedback within 48 hours. 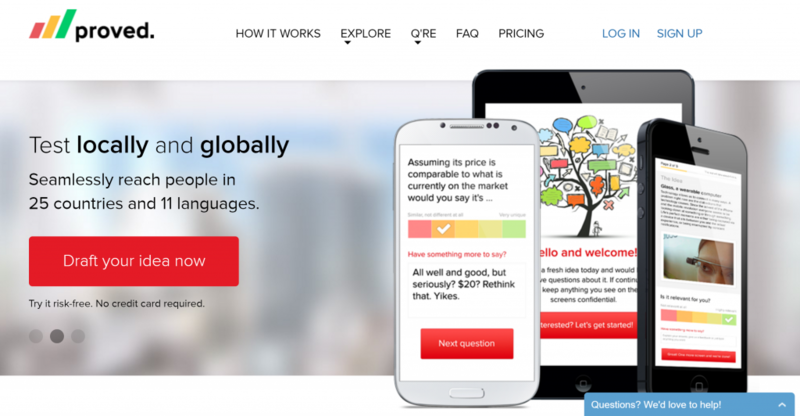 A starter plan costs $149 per test for 25 respondents and supports 11 languages. The basic plan costs $299 per test for 50 respondents and the Pro plan is priced at $499 for 100 respondents. 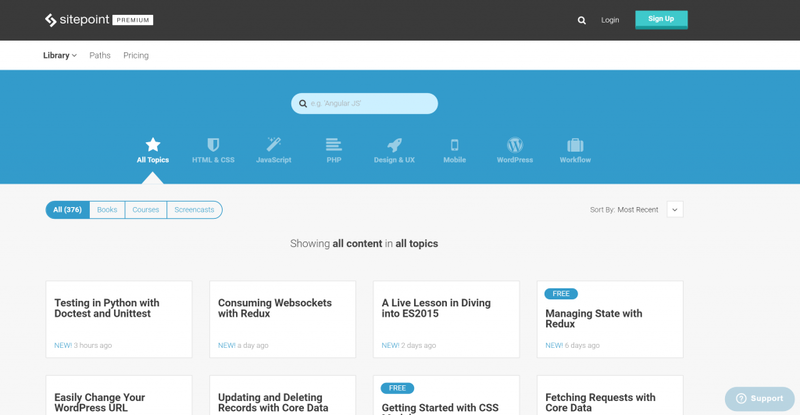 A forum of web designers and developers set up specifically to give design feedback from over 350,000 registered users. Sitepoint is a media company which serves the web design and development sector by publishing articles and e-books. Free membership provides limited access to the community, but for $99 per year you can get Premium membership which gives you access to over 5,000 videos, 83 eBooks, and live Q&A and chat with experts. 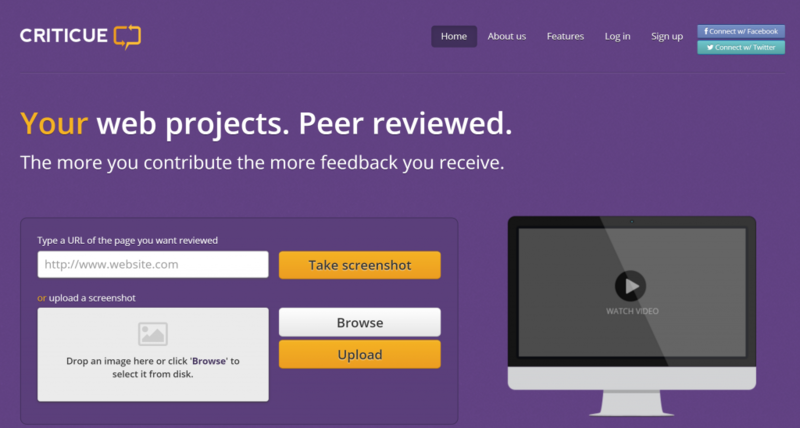 Provides design feedback from users through a customised feedback button for websites, apps and emails. This allows users to select the part of your website that they want to give feedback on and there are multiple targeting options. Prices: No costs shown on the website. Provides videos of users talking about what they think as they use your website. UserBob recruits people to visit your website. Set a scenario for the user and specify a task for them to attempt to complete. During visits respondents record their screen and voice as they think out loud about the experience. 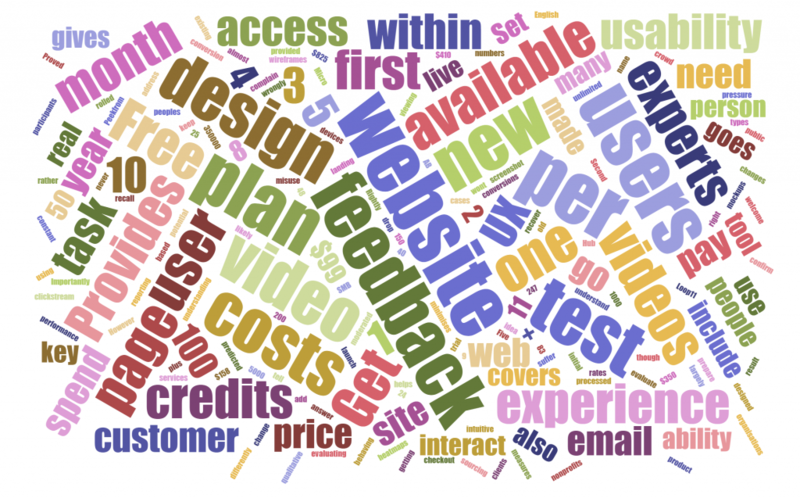 You then receive a copy of the video to learn about what users say about your site. You decide how many users you need, what demographics match your visitors, and how long each one should spend on your website. The test is instantly made available for users to participate and you will normally have a video to review your design feedback within a few hours. will spend one minute each on your website. Users will discuss their first impressions of your website, who they think it is for and what you can do on the site. Task Completion costs $20 for 5 users who spend 4 minutes attempting to complete your task. The price of the Custom test is variable. This involves between 1 to 10 users each spending up to 8 minutes with a specific scenario and user task to complete. You may also specify user demographics for Custom tests. Get videos of users as they browse your website, app or prototype. Respondents describe their impressions as they complete agreed tasks and these are recorded together with their screens and mouse movements into online videos. 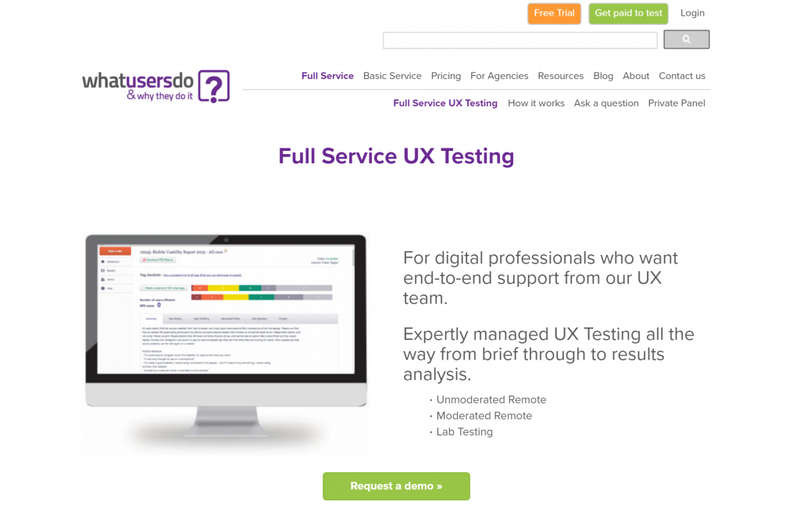 UX experts then analyse and summarise the design feedback into high, medium or low UX issues. A managed service offering is available which covers the WhatUsersDo research platform, instant access to an online panel from over nine countries, lab tests and UX experts to manage research and deliver insight reports. includes tag videos, ability to download videos, download clips and PDF reports (including video). Prepaid Test Pack starts from £300 + VAT and provide for more cost effective user testing than the pay as you go plan. UX specialists, expert analysis of results, and account management and email and phone support. credits (1 credit = 1 completed video). The Repeat plan costs £20,000 for 100 video credits and the Regular plan is £30,000 per year for 150 video credits. An Enterprise plan is also available with 200 video credits – price available on request. 9. ZipBoard: A free review and feedback tool that allows stakeholders(clients, managers, teammates, etc.) to add feedback with annotations, which can be converted into trackable tasks. These can be prioritised and assigned to team members so that tracking issues across the project is easier and faster. Teams can use zipBoard to gather feedback on images, HTML prototypes, PDFs and live websites. 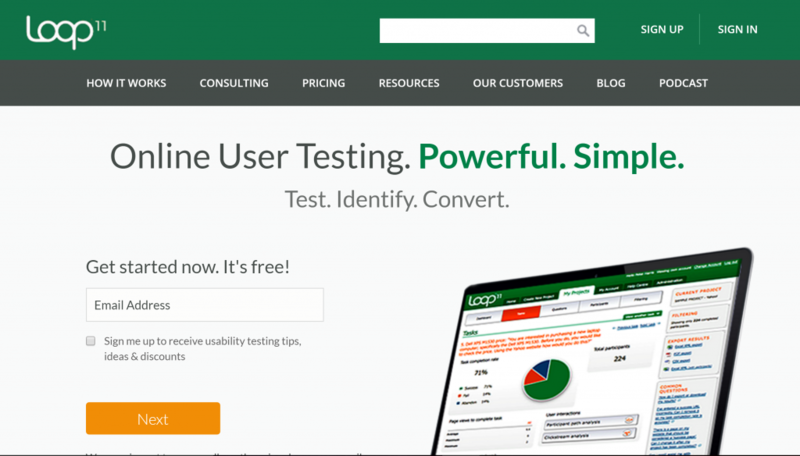 For other usability testing providers see my post on how to do usability testing to improve conversion and for other online customer feedback tools see my post on how to use online Voice of Customer tools to boost conversion. Thank you for reading my post and if you found it useful please share using the social media icons on the page.